who has exhibited a profound interest in the political economy of institutions, and the legal instruments available to a State to keep its control over them. Her recent book is State and Capital in Independent India: Institutions and Accumulation, published by the Cambridge University Press, which is being released at the LASSnet Conference, being held in New Delhi from December 10 to 12. Das Gupta’s other publications include an article titled ‘Unravelling Bihar’s Growth Miracle’ in Sudha Pai (ed), Handbook of Politics in Indian States: Regions, Parties and Economic Reforms,(2013). One of her articles, which is of interest to the readers, is ‘Globalisation, Corporate Legal Liability and Big Business Houses in India’, published in Cambridge Journal of Economics (2010). ‘Political Implications of Inter-State Disparity’ (co-authored with Prabhat Prashad Ghosh 2009), The Tenacity of the Hindu Undivided Family (2013) published in Economic and Political Weekly, are other articles which indicate her academic concerns. In this interview with Livelaw, she explains the recent controversy over the Government’s move to declare certain denominations of currency notes as not being valid tender, besides the significance of her recent book, to understand the interface between the political economy and law better. LL: To begin with, what is the role of law in a neo-liberal economy, and why should a student of law be aware of the issues of political economy? CDG: Law is central to both the structure and process of any economy. Usually the study of law has entailed use of economic methods to answer questions on subjects like property, tort, tax, competition, monetary compensations etc. Use of such methods has over time expanded to the study of constitutional/administrative and criminal law. This is largely what constitutes the mainstream economic analysis of law. However, this methodological engagement had been extremely narrow based on axiomatic approaches which abstract away the social and the political. In this, the mainstream of law has relied mostly on the mainstream of economics in which each individual/person is a rational economic optimizer and society is an aggregation of such individuals (which is the philosophy of methodological individualism). Political economy, in contrast, demonstrates that the institutions of the family and the firm are organically linked to each other in the organization of property, assets, capital and labour and form the basis of the macroeconomy. This is historically specific in space and time and cannot be seen in the abstract. In fact the neoliberal economic order has been heavily reliant on legislative changes to not only reorganize property rights (questions around displacement, compensation etc which is more commonly debated), but also in the complete alteration of the political economy basis of legislation. Let us take the example of the doing away of legal restrictions on monopoly (the abolition of the Monopolies and Restrictive Trades Practices Act in India) and changing the basis of regulation to competition law (with the promulgation of The Competition Act). It is only political economy which can, as a method, show that this tectonic legal shift in India serves a political purpose of strengthening unprecedented concentration of property, capital and wealth in the hands of a few. This is evident both in the making of law itself and the interpretation/application of such law. LL: On the recent ‘demonetisation’ controversy, what, according to you, are the legal flaws in the Government’s notifications since November 8. Would you consider this strictly a policy matter, beyond the scrutiny of the Courts? CDG: This is definitely not a strict policy matter. In fact, there is not a single sound economic rationale for this current demonetization in India. An overwhelming majority of economists across the political and ideological spectrum have written and spoken to show the ‘unsound’ economics behind the move and the claims defending the move. The justifications of the move in fact reveals a complete lack of conceptual distinction between the nature of monetary transactions in a large informal economy where even in the formal sector, a large proportion of wage is paid in cash to blue collar workers and a large amount of everyday ordinary transactions involving cash is informal. The distinction between black/ illegal and informal transaction is so fundamental that the absence of its consideration in the current demonetisation move reveals how out of touch those at the helm are with the lives of the majority of the working poor in this country. Some legal experts have also raised the question on violations of constitutional rights of citizens apart from questioning the chronology of events in terms of when did the RBI Board actually recommend the move and whether that constitutes violations of the provisions of the RBI Act of 1934. However, let us look at another substantive legal aspect. Section 26 of the RBI Act clearly says that the RBI is liable to pay the equivalent value of banknotes. The RBI itself says on its website under Currency FAQs that this is not a contractual but a statutory obligation. It says: ‘The promissory clause printed on the banknotes i.e., "I promise to pay the bearer the sum of Rupees …” is a statement which means that the banknote is a legal tender for the specified amount. The obligation on the part of the Bank is to exchange a banknote with bank notes of lower value or other coins which are legal tender under the Indian Coinage Act, 2011, of an equivalent amount’. The sudden withdrawal of the currency through executive notification without making adequate provisions for replacement with bank notes/coinage of equivalent value thus does constitute a legally questionable move and possibly can be argued to be a violation of the RBI Act for which the culpability rests not just on the Union Government but also on the RBI. Thus the legal culpability of the highest institution of monetary and banking authority has been severely put to question by this demonetisation move which from preliminary evidence (and contrary to assertion) has hit the working poor the hardest and disrupted the economy in ways which are still unfolding. LL: You have also undertaken a study of judgments on labour rights in the neo-liberal era. Do you see a shift in the Court’s judicial philosophy and approach? Can you explain? CDG: The first decade after independence in India saw vigorous opposition from big capitalists on the judiciary being the arbiter of labour disputes. The All India Organisation of Industrial Employers) in 1954 argued that reconciliation process through collective bargaining and negotiation was preferable to adjudication procedures involving the state machinery in settlement of labour disputes in opposition to trade union demands of the state as an arbiter. Once it was clear that adjudication in India would be through industrial tribunals and labour courts, their focus was to ensure that the legal definition of a worker was as narrow as possible. Thus the focus of employers was to minimize the extension of right to adjudication based on a mistrust of the judiciary and fears that it was anti-employer. However, since the 1980s, there has been a shift. Some trade unions have pointed out that the legal basis of adjudication has been largely shifting to a pro-employer and anti-labour approach. This is what I am currently studying. It is a work in progress. The first part of the work which is near completion shows that out of about 200 industrial tribunal orders, more than 150 have gone in favour of employers. The preliminary content analysis of the orders show that the very notion of labour rights has been eroded under neoliberalism. This finding is not very surprising. The courts function within the larger hegemonic political context and all institutions of the state including the courts in many ways reflect and reproduce not only existing social hierarchies, but also the dominant ideologies. Also, this is not something unique to India. The dilution of labour rights within legal frameworks and adjudication structures is one of the universal features of neoliberalism. LL: Can you tell us how your recent book throws light on the interface between political economy and the law, and how a reader, with primary interest in law, can hope to benefit from it? CDG: The book focuses on three dimensions of law and legal institutions in independent India: the implications of the intricate relationship between personal law, corporate governance structures and taxation with a focus on the unique institution of the Hindu Undivided Family, the political economy of creation of the legal adjudication structure for labour rights disputes, and the institutional structure of regional disparity in India. Each of these dimensions are of direct interest to those with a primary interest in law. 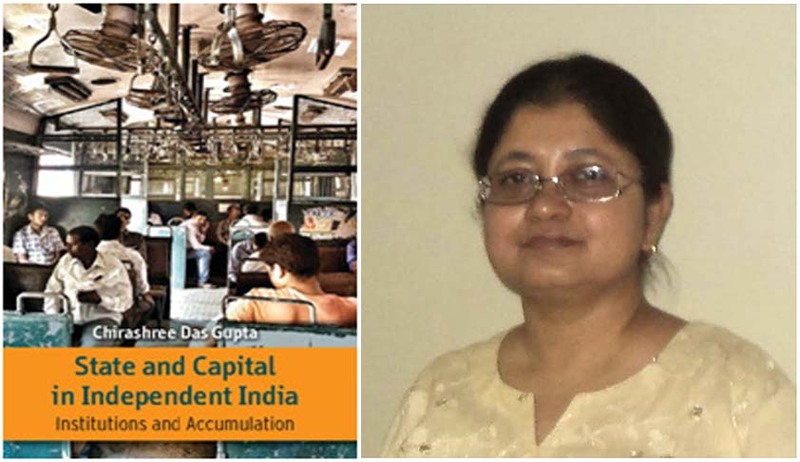 One of the major conclusions of the book is the following: The institutional basis of capital accumulation in India was laid in the first decade after independence. This was based on two institutions. First, the property rights and taxation structure that was developed which spanned corporate governance, taxation and personal laws. The second was the labour regime that was established through the narrow definition of ‘work’ and hence worker. Both of these institutions together legitimised the hierarchy of social relations based on caste and gender that formed the class basis of the predominantly mercantile capital accumulation regime in India. Moreover, the property rights and taxation structure privileged Hindus over Muslims, Christians, Jews and Parsis in the legal recognition and privileging of the Hindu Undivided Family as a tax entity and then allowing lax corporate governance regulation which allowed interlocking of individual, HUF and different kinds of firms and companies to ensure maximum family control over business groups with minimum investment of its own wealth. This structure has shown resolute structural continuity across all policy regimes and is one of key reasons for the continuity of the main contradiction of the Indian transition - the employment neutrality of all accumulation strategy and the widening scope of upward mobility only amongst the top two deciles of the population. The book also shows that the agrarian and the fiscal constraint in India continued in their institutional basis because the underlying structure of agrarian property rights remained non-negotiable once these were put in place in the 1950s. This continuity is the second causal explanation of India’s development solely on the basis of labour cheapening across all policy regimes in the post-independent period. Moreover, the property rights and taxation structure in preserving the mercantile basis of accumulation also continues to set the limits of manoeuvre around the capital and technology constraint. This is also the causal explanation of each cycle of growth in the post-independence period ending in crisis. LL: Many analysts have suggested tweaking of our labour laws to adapt to the changing times. But you seem to be opposed to it. Can you explain your position on this? CDG: My position on this question derives from my study of the institutionalization of the ambit of labour laws in India from the 1950s to the present. I have shown in the book that the class power of capitalist organisations ensured that institutionalization of labour rights and the dispute adjudication process in India was confined to a part of the registered ‘factory’ sector against the push from the labour unions to cover the entire workforce and all work-places including the home. This had three implications. First, ‘informalization’ of the economy was incentivized through this narrow definition of the ambit of labour laws and adjudication. Second, it incentivized and preserved the existing hierarchy of labour denying the status of ‘worker’ entitled to legal protection to the majority of the workforce. Third, even within the ‘formal’ recognized sectors, the business group and ownership laws combining tax entities and the corporate governance structures ensured that within a business group, workers could be spread across companies to ensure they do not have the minimum numbers to form a trade union. Thus what is called informalization was built into the institutional structure of the accumulation regime in independent India. This is further evident in the data from the Annual Survey of Industries which shows that for the average value of Rs 10 worth of industrial product produced in the formal factory sector in 1989, just 60 paisa used to go to labour. Today, the value that goes to labour is about 20 paisa for the same Rs 10 worth of average value of industrial product. Thus labour is virtually free in India even in the formal factory sector where labour laws are supposed to be applicable. So by diluting labour laws which is currently being attempted with partial success by ruling regimes in India, what further cheapening of labour can be achieved needs to be established by those who advocate it.